A Shade Better has a large assortment of fabrics for Silhouette and Luminette shades. 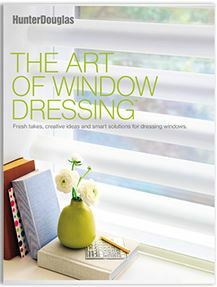 A perfect choice for soft light control, these exquisite window fashions will enhance any room. With a full palette of designer colors, ranging from subdued natural tones to intense hues, you can take your windows to the next level. They are available in specialty shapes and have motorization options. A Shade Better carries Hunter Douglas' complete line of cellular and pleated shades designed for the discriminating consumer. Enjoy the texture and richness of raw silk or the lush look of fine satin - in distinctive yet subtle patterns. Cellular shades come as single, double, or triple honeycomb pleats with a variety of fabric colors and textures to complement any décor. The Duette and Applause (cellular) family of shades are the most energy efficient shades on the market, adding comfort while reducing energy bills. These shades beautifully combine today's most advanced fabric styling and functional technology. Hunter Douglas Modern Roman shades (Vignette) make a design statement about luxury that says it all. Vignettes are available in traditional, tiered, and tailored styles. Woven woods are available in a wide assortment of versatile materials and colors with heavy-duty cording. Intelligent Shades That Simplify Your Life - Imagine a world where window treatments anticipate your needs and adjust themselves automatically, creating the perfect room ambiance morning, noon and night. That’s the beauty of PowerView Motorization. Just program PowerView to move your window treatments to the exact position you want and then control and schedule them using the intuitive PowerView App on your smartphone or tablet. You can also operate your PowerView settings using the stunning new PowerView Pebble Control.